We’ve heard a lot about optimal nutrition, but what about optimal hydration? Could something as simple as better hydration help with everyday conditions like fatigue and serious ones like diabetes and dementia? Find out in this recap of the Live Foreverish Podcast as Michael A. Smith, MD, interviews Dana Cohen, MD, author of Quench: Beat Fatigue, Drop Weight, and Heal Your Body Through the New Science of Optimum Hydration. According to Dr. Cohen, insufficient hydration may be associated with fatigue,1 “brain fog,”2,3 constipation,4 colon cancer,5 bladder cancer,6 inflammatory bowel disease,7 type 2 diabetes7 and many other disorders.8 Water’s presence in cartilage and skin suggests that dehydration might also be a factor in joint discomfort and skin dryness. Unhealthy food, certain medications, artificially heated and air-conditioned environments, and more share a lot of the blame. According to Dr. Cohen, optimal hydration is not as simple as drinking more water. In other words, she believes smoothies made from plant foods are going to sustain us longer than just drinking a glass of water. Not only is proper hydration essential for those who exercise, but exercise boosts hydration. By improving circulation and the delivery of water to the cells, movement improves hydration. Thus, a regular exercise regimen aids in attaining optimized hydration levels. When asked how she might respond to skeptics who question the prevalence of low-grade, chronic dehydration, Dr. Cohen expressed frustration. Like what Dr. Cohen has to say? 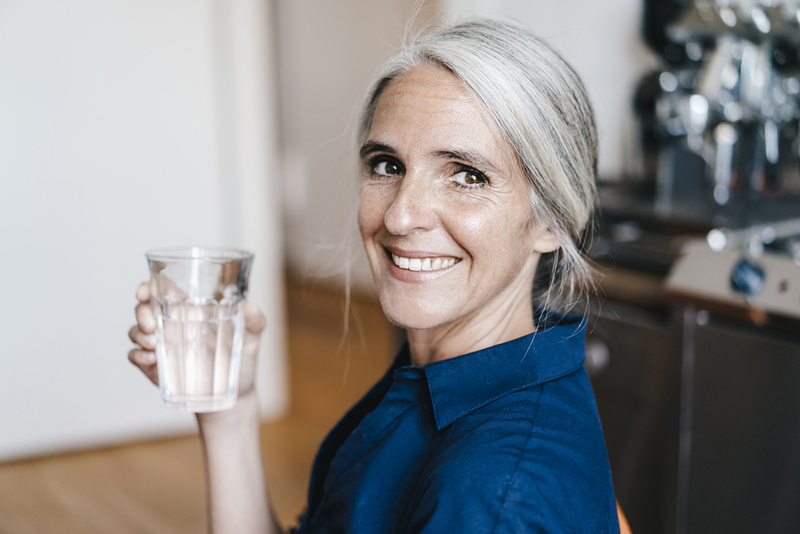 Listen to the Live Foreverish podcast with Life Extension’s Dr. Michael Smith and his guest Dana Cohen, MD, as they discuss hydration, by visiting LiveFOREVERish.com. If you like what you hear, please take a moment to download the episode for FREE and give Live Foreverish a 5-star rating on iTunes! Barley OR et al. Front Physiol. 2018 Nov 2;9:1562. Szinnai G et al. Am J Physiol Regul Integr Comp Physiol. 2005 Jul;289(1):R275-80. Shirreffs SM et al. Br J Nutr. 2004 Jun;91(6):951-8. Arnaud MJ. Eur J Clin Nutr. 2003 Dec;57 Suppl 2:S88-95. Shannon J et al. Cancer Epidemiol Biomarkers Prev. 1996 Jul;5(7):495-502. Michaud DS et al. N Engl J Med. 1999 May 6;340(18):1390-7. Lang F et al. Kidney Blood Press Res. 2017;42(3):483-94. El-Sharkawy AM et al. Nutr Rev. 2015; 73 (Suppl 2): 97-109. Maestro LM et al. Int J Nanotechnol. 2016;13(8-9);667-77. Perakis F et al. Proc Natl Acad Sci U S A. 2017 Aug 1;114(31):8193-98. Pollack GH. Jpn J Physiol. 2001 Dec;51(6):649-60. Lee JB et al. Nutr Res. Pract. 2010 Jun;4(3):203-207. Takanari J et al. J Evid Based Integr Med. 2018 Jan-Dec;23:2156587218756511. Terakawa N et al. Nutr Cancer. 2008;60(5):643-51. Yin Z et al. Human Immunol. 2010 Dec;71(12):1187-90.